Tooth decay is highly preventable, yet remains one of the most widespread chronic health problems among children of all ages. While following good oral hygiene habits can help reduce your child’s risk of cavities, it’s still important to check for decay early and often. 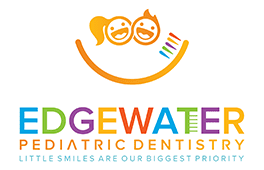 In the ongoing battle against dental cavities, board-certified pediatric dentist, Rosalie Nguyen, DMD, and the team at Edgewater Pediatric Dentistry in Edgewater, New Jersey, are proud to offer quick and accurate cavity diagnostic services with DEXIS™ CariVu, an innovative handheld cavity detection device. Call the office or schedule an appointment online today to learn more. A normal, healthy mouth is home to various kinds of bacteria, including those that cause cavities. Tooth decay usually begins when sugar or carbohydrate molecules interact with these microorganisms, leading to the formation of a sticky, invisible film known as plaque that coats teeth and traps bacteria against tooth enamel. When areas of plaque are allowed to build up, the bacteria trapped within this sticky film have more time to eat away at your child’s tooth enamel, causing tiny spots of decay known as dental cavities. One of the main goals of your child’s twice yearly dental cleanings is to detect cavities early on before they have a chance to grow larger or spread. Why is it so important to treat tooth decay? In their earliest stages, most cavities are painless and fairly easy to treat. But if left untreated, they can quickly progress into far bigger problems. Tooth decay can spread and affect multiple teeth and may also irritate gum tissues and lead to early-stage gingivitis, or gum disease. Tooth decay that’s allowed to fester for too long may eventually require a root canal or, if the affected tooth is so infected that it can’t be saved, an extraction. How does CariVu detect cavities? CariVu is a cutting-edge handheld device that uses patented transillumination technology to detect dental cavities with an exceptionally high accuracy rate. Specifically, it highlights the occlusions, cracks, and interproximal or recurrent lesions commonly caused by tooth decay. The slender device has lights on two sides that can surround an individual tooth, bathing it in near-infrared light. The resulting image, which looks very similar to a dental X-ray, displays healthy teeth and enamel as transparent, while decay appears as a very dark spot or lesion. What are the benefits of using CariVu? Dr. Nguyen and her team use a two-tier exam protocol to identify cavities that require immediate intervention, as well as questionable areas that may simply need continued monitoring. The first step in the examination process involves taking an X-ray of your child’s entire bite. If the X-rays reveal any potential areas of decay, the dentist uses the CariVu device to take a closer look. CariVu has a 99% accuracy rate when it comes to detecting decay that’s hidden between your child’s teeth, making it more precise than traditional X-ray imaging. To learn more about the benefits of advanced cavity detection with CariVu, call Edgewater Pediatric Dentistry or schedule an appointment online today.